If you are already using Preview, welcome back to our blog! If you are new to here: Welcome! 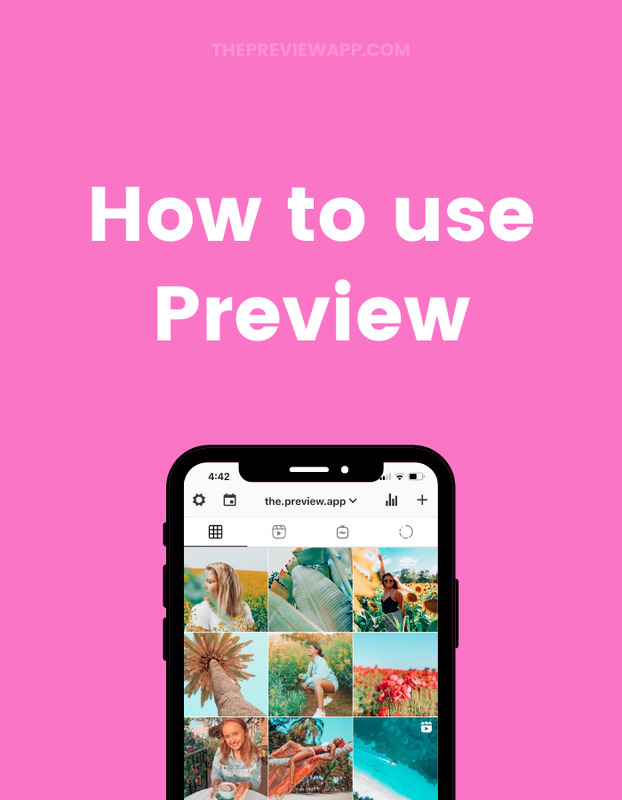 Before we start, let us give you a quick introduction about Preview app. 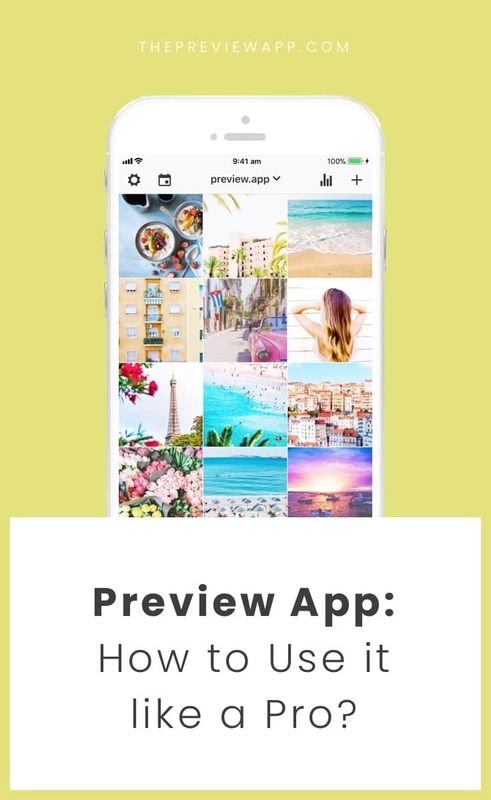 Preview is an app to plan, design and manage your Instagram. As you will find out, there are a lot of features in the app. 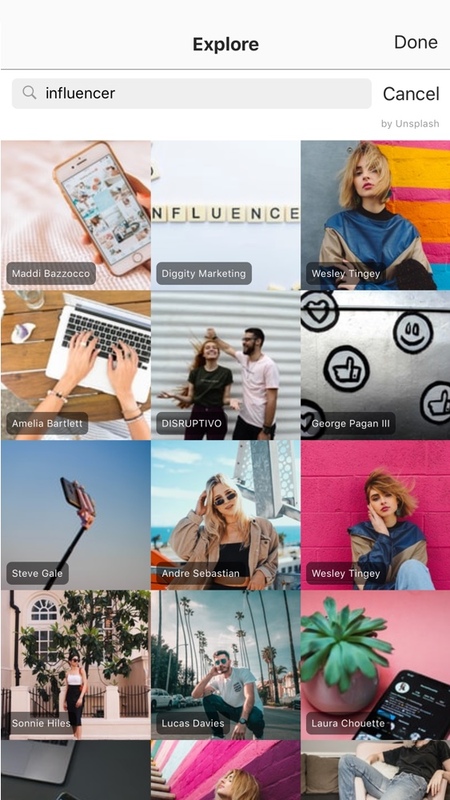 Our goal is to combine all the most important Instagram tools into one simple app (#savetime #morefunlessstress). 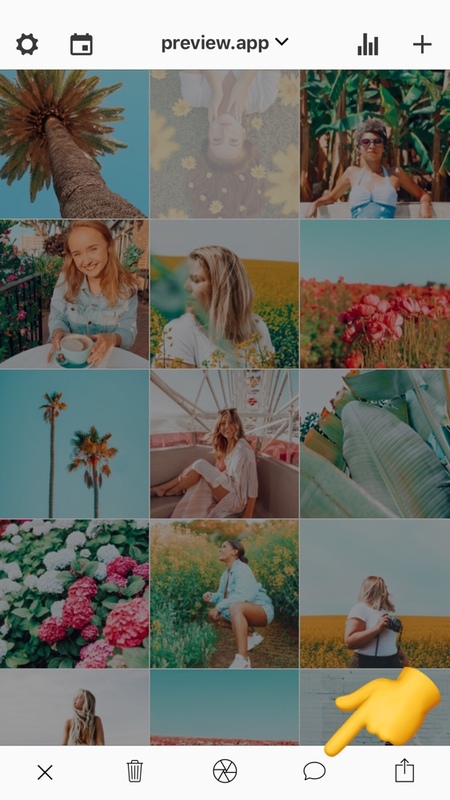 You can plan your Instagram feed, rearrange the order of your posts, edit your photos, schedule, find trending hashtags, test your hashtags, and check your analytics. 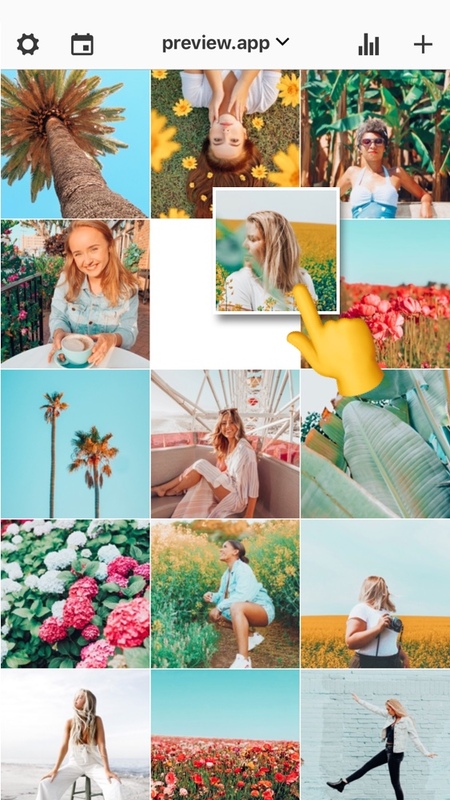 So how to use Preview app for Instagram? After reading this article, you will be a pro! 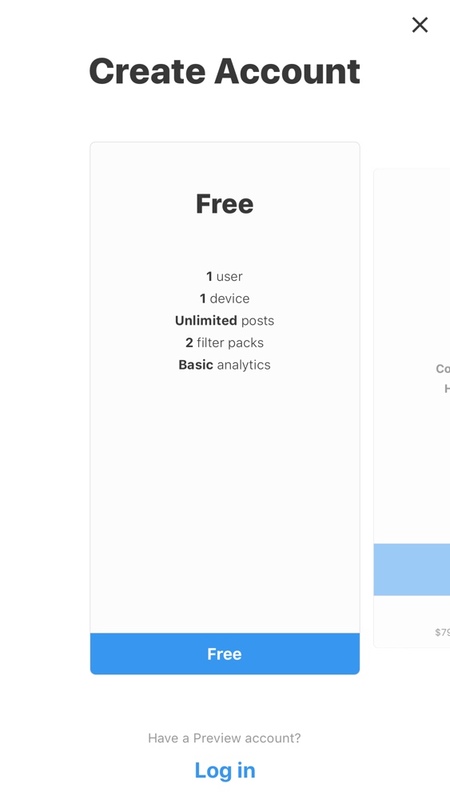 When you open Preview for the first time, you will have to select a plan. Don’t worry, you can start using Preview for free. You can schedule unlimited posts for free whatever plan you choose. 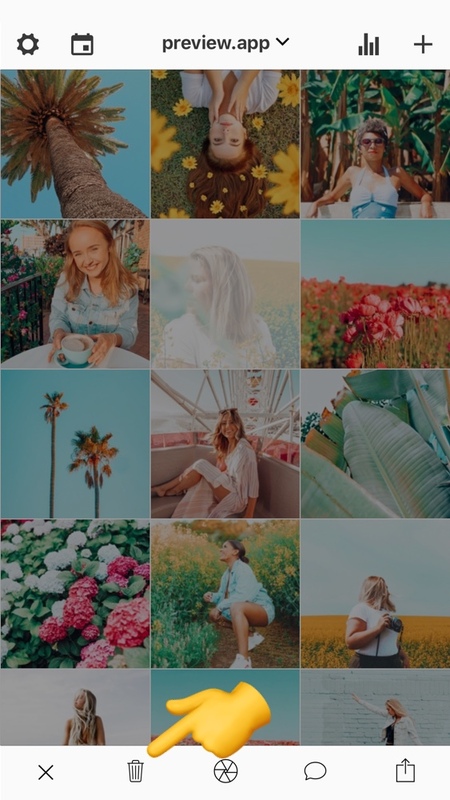 Free: Start planning your feed using the free plan. Pro: Unlock all the features in the app, except team and backup features. Premium: Unlock all the features in the app, including team feature, sync between your devices and automatic backup (in case you lose your phone or change phone). Login: Do you already have an account with Preview? Just log in. If you want to upgrade to the Premium plan, please see this tutorial. If you have issues logging in, please read this article. 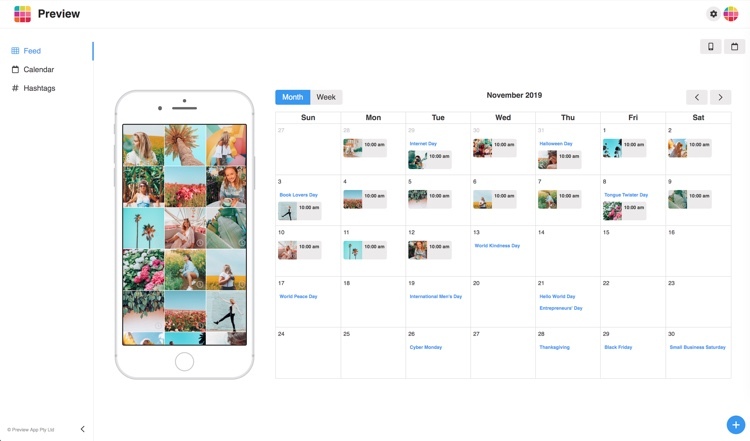 Now you can upload as many photos, videos and albums as you want. 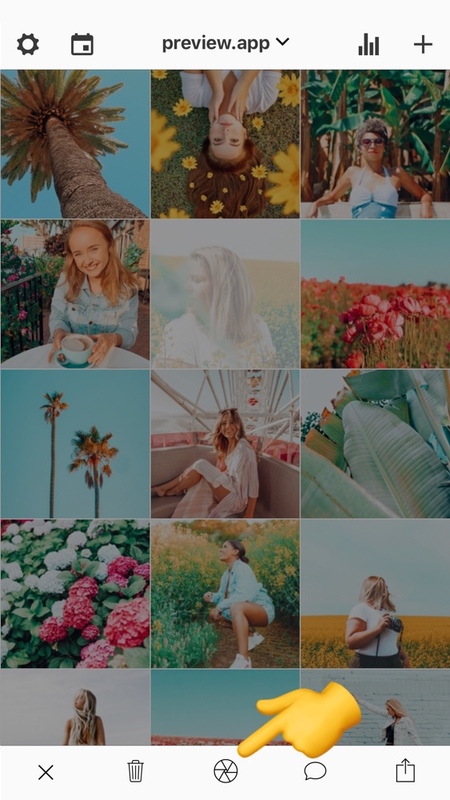 Tips for Android phones: To select multiple photos, please hold your finger pressed on a photo, or select photos from the “Photos” app. 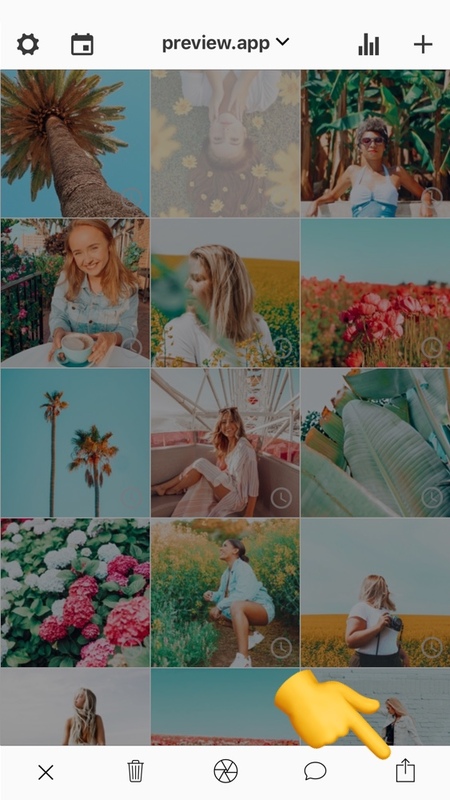 You can also create Instagram albums. An album is also known as a carousel or slideshow. We call it “carousel”. 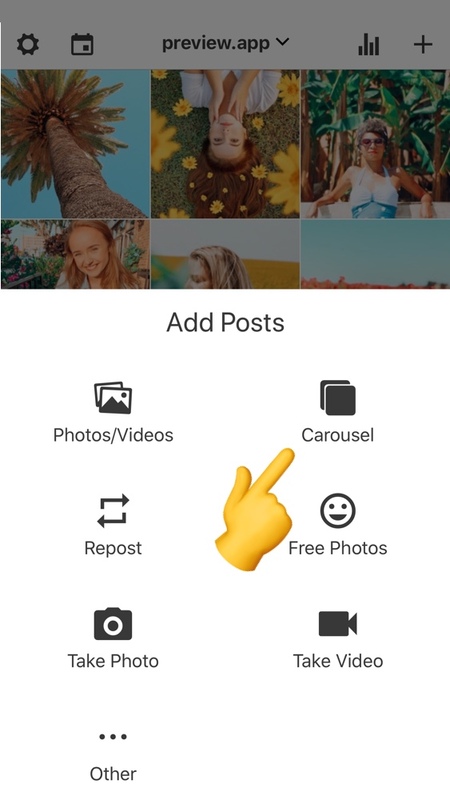 A carousel is an Instagram posts that has multiple photos and videos in one post. This is a Pro and Premium feature. 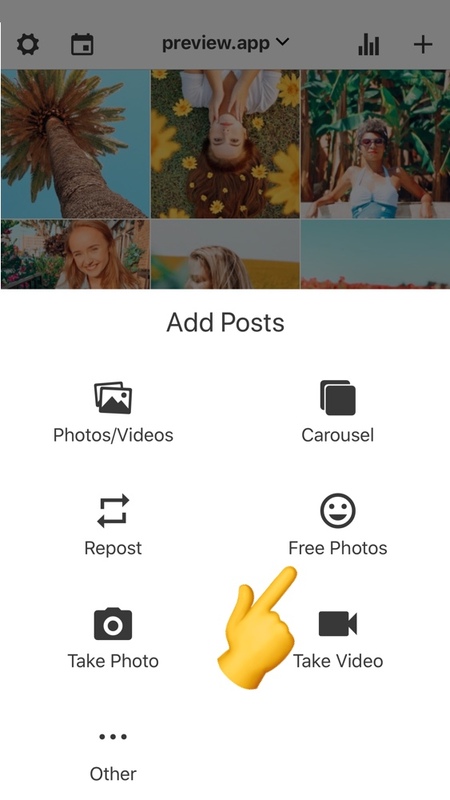 You can repost other people’s photos, videos and carousels. Success! 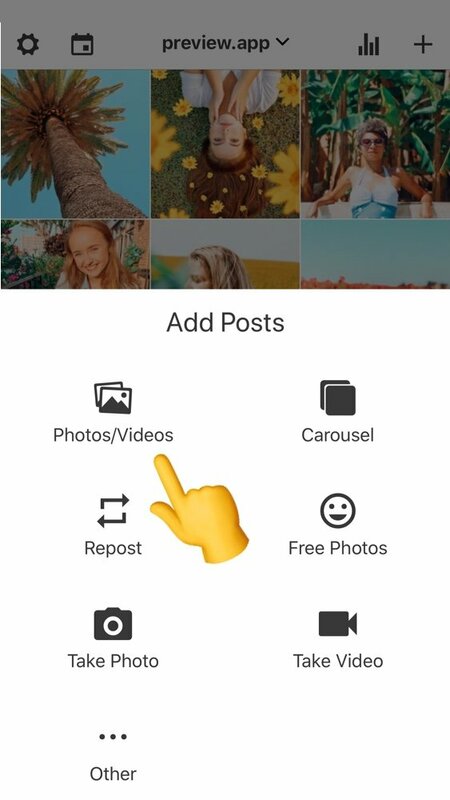 You can repost as many photos, videos and carousels as you want. They will all be added to your Preview feed. Need more help? See the step-by-step tutorial here. 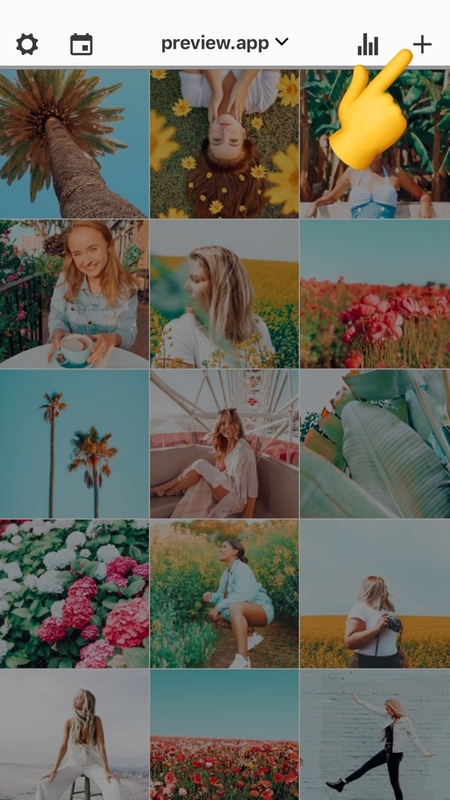 Preview app integrated with the amazing community of photographers at Unsplash to give you beautiful, free photos for your feed. There are over 500,000 photos available. 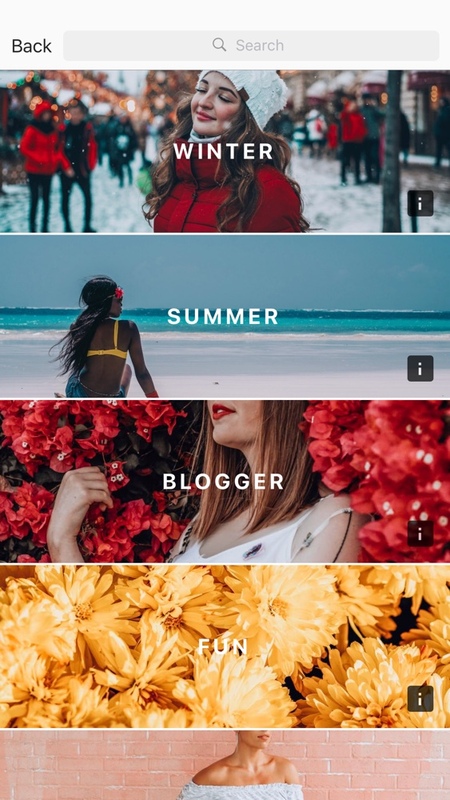 There all are in the “Free Photos” feature of Preview. See the step-by-step tutorial here. 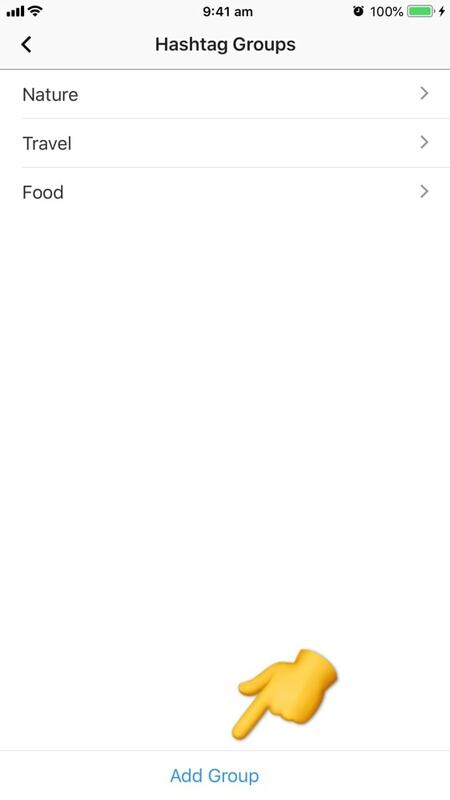 Now that you have uploaded photos in your Preview app, you can rearrange their order. Remember: Instagram doesn’t allow anyone to rearrange or edit photos that are already posted on Instagram. They are fixed. 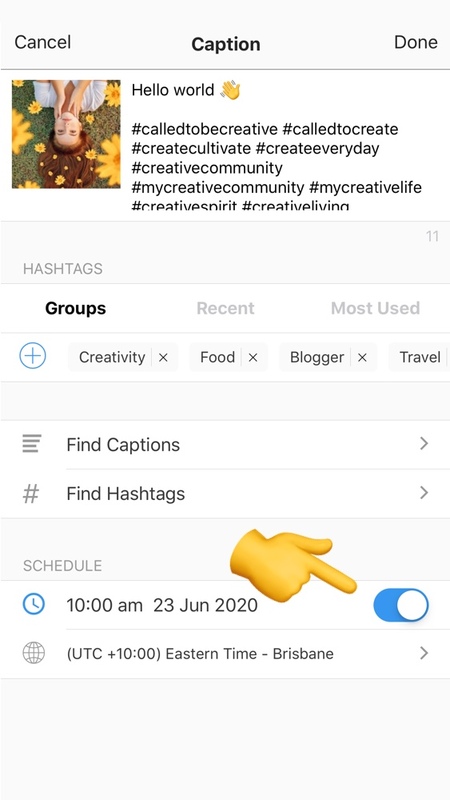 Use Preview app to plan your future posts and see how your feed will look like before you post anything on Instagram. As you can see, there are other options in the menu bar at the bottom of your screen. Let’s talk about editing first, and then we will move on to the caption. 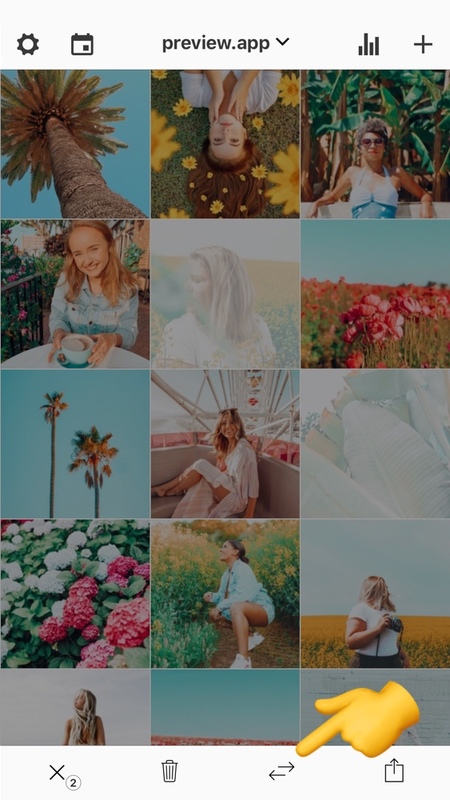 Each filter pack is designed to create different Instagram themes (brown, tropical, white and bright, dark, colorful, etc…). Need some inspiration? Click here. Time to prepare your caption and hashtags! Here you can write your caption and type your hashtags. 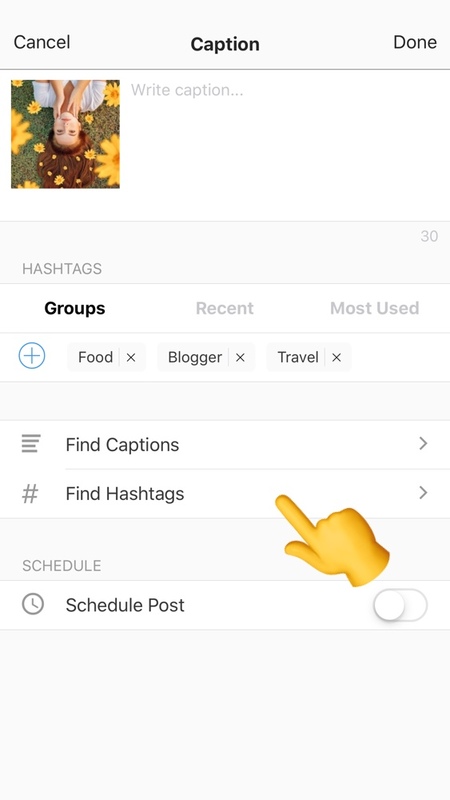 If you are logged in with your Instagram account, you will get automatic hashtag suggestions as you type a hashtag. 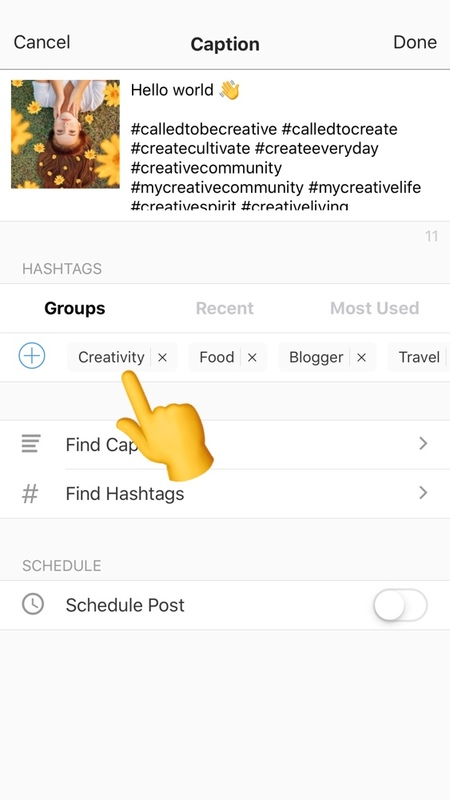 There are other useful features on this screen like the Hashtag Finder and the Hashtag Groups. Keep scrolling to see how to use them. If you ever feel stuck and don’t know what hashtag to use, use the Hashtag Finder. 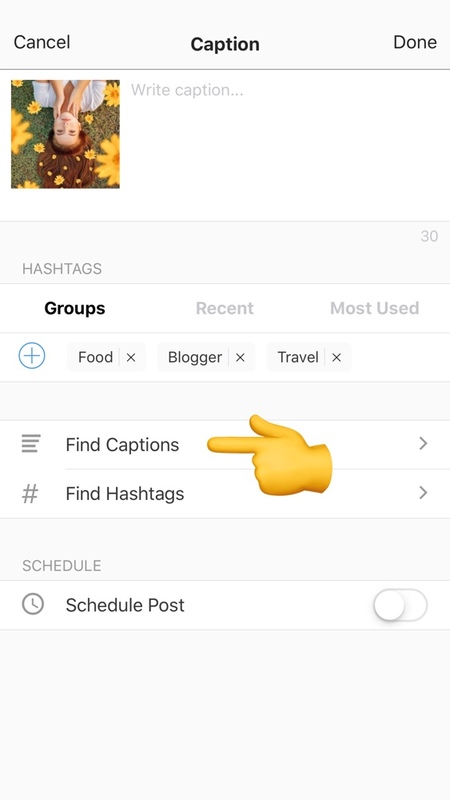 The Hashtag Finder is an Instagram hashtags generator. 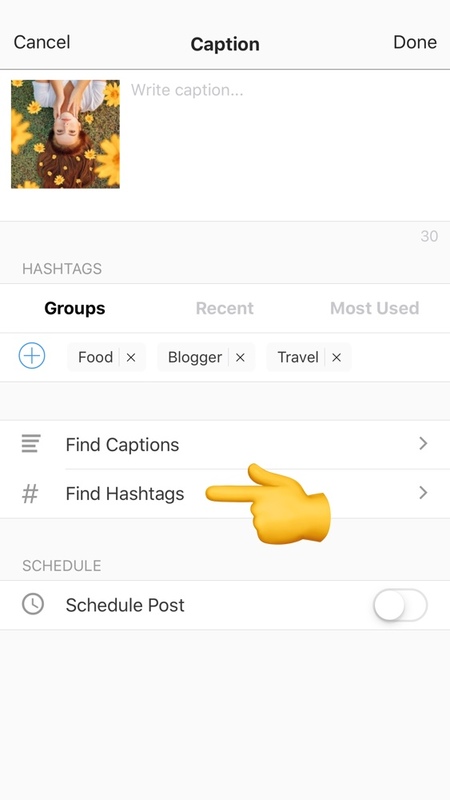 You can search for hashtags by category, country, city and even Instagram community. 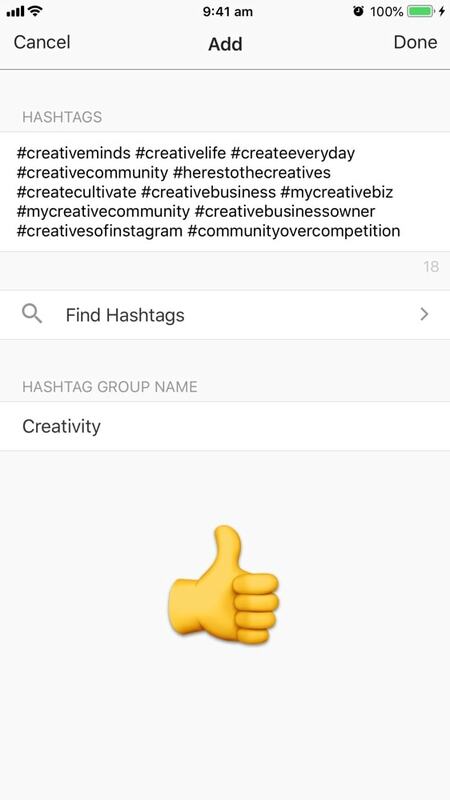 In total, there are 100 hashtag groups and over 2,000 hashtags. Each hashtag is carefully selected to help you grow your account. Add any hashtag you want in your caption. See our step-by-step tutorial here. Do you always use the same hashtags? 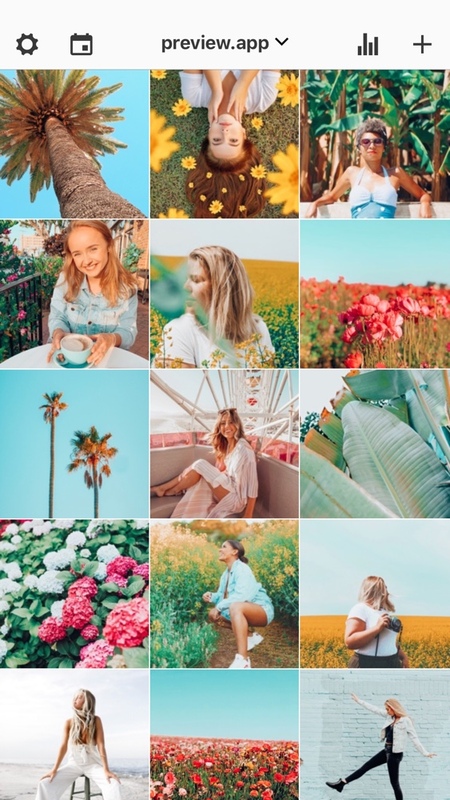 Or do you rotate between different hashtag groups? You can save them all in Preview. 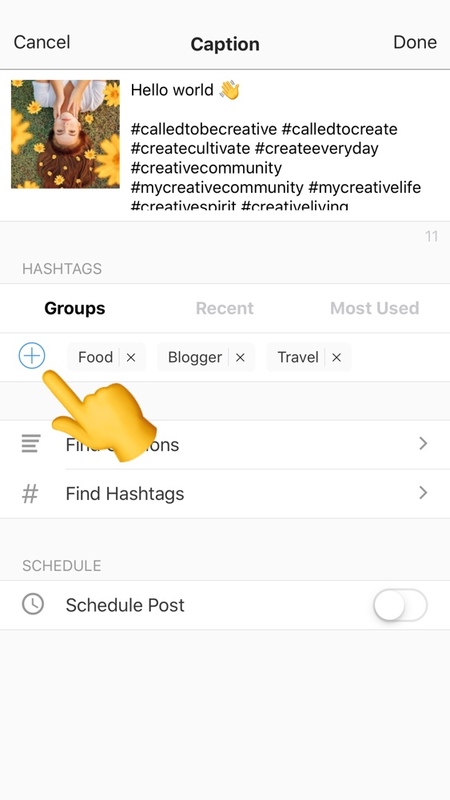 This way you can reuse the hashtag groups on other posts, in one tap. No more copy and paste between different apps and no more keyboard shortcuts. Why bother you might ask? Well, keep scrolling and you will see why saving hashtag groups in Preview is awesome. Next time, you can just press on your “Food” button to add all the hashtags in the caption. 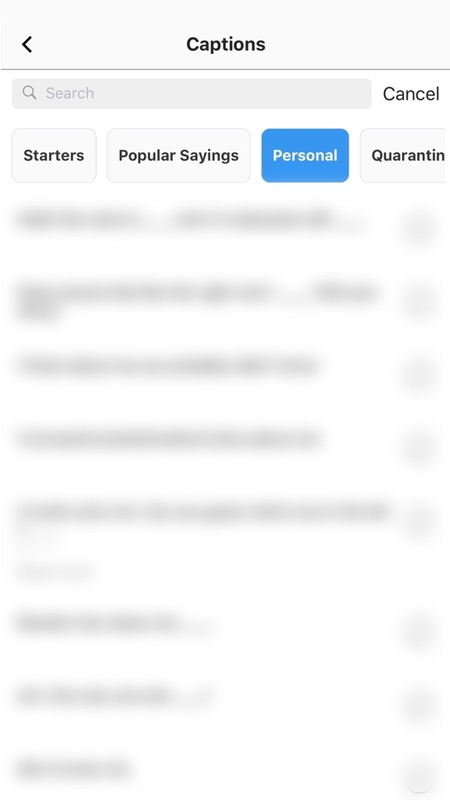 So why is it awesome to save your hashtag groups in Preview app? 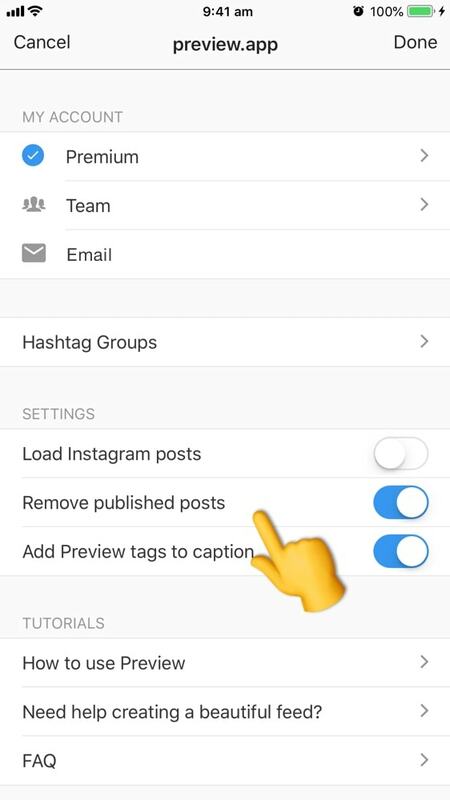 Preview will automatically tests your hashtag groups. You will be able to see which one help you grow your account. Preview will show you which ones give you the most likes, comments and engagement. This feature is available on Pro and Premium plans. Do you want to see what you have planned for the day, week and month? Preview doesn’t automatically post on Instagram yet. 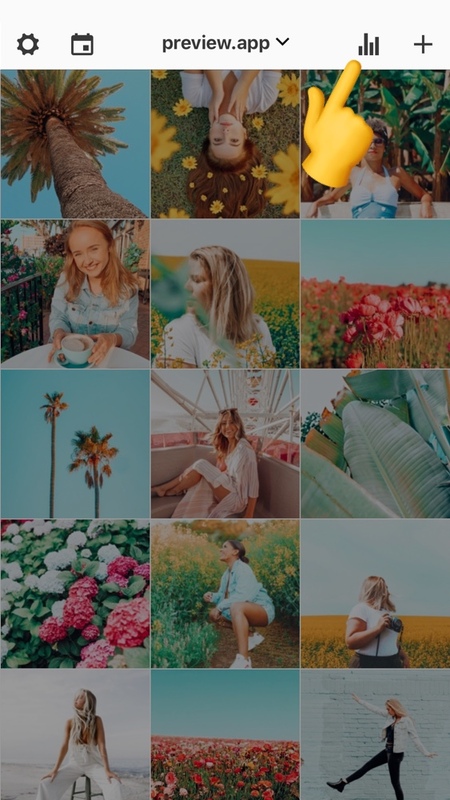 The Instagram auto-posting feature is currently in BETA version. It is available only to some companies for testing purposes. 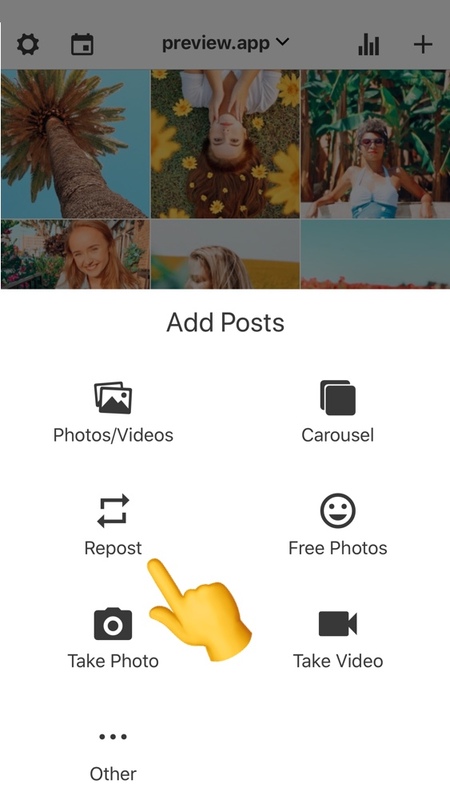 We will add the auto-posting feature in Preview as soon as Instagram fixes the issues they are having with their auto-posting system. 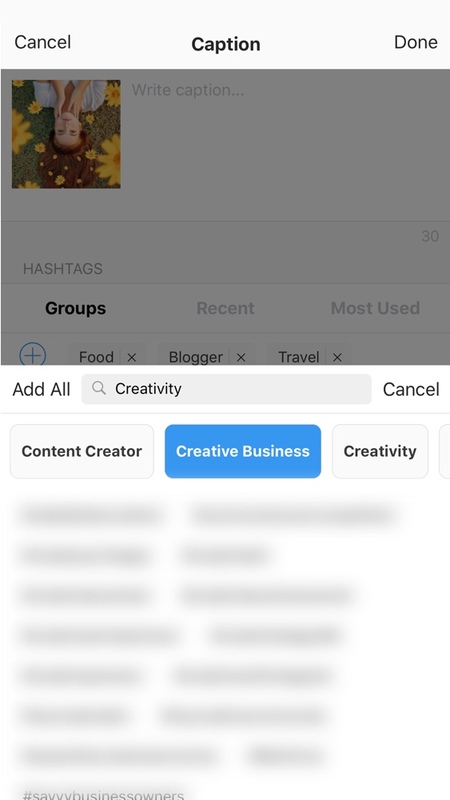 You might have seen in the screenshot above that there is a section called “Hashtag Group”. 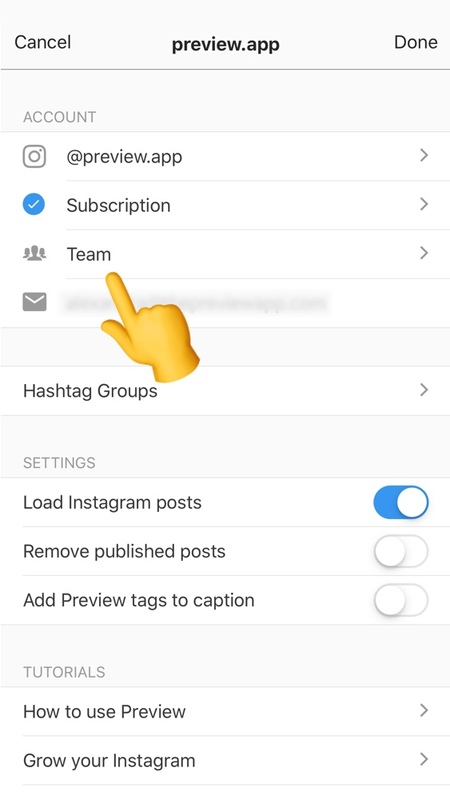 Remember I was telling you there was another way to save your hashtag groups (without going in your captions)? This is it. 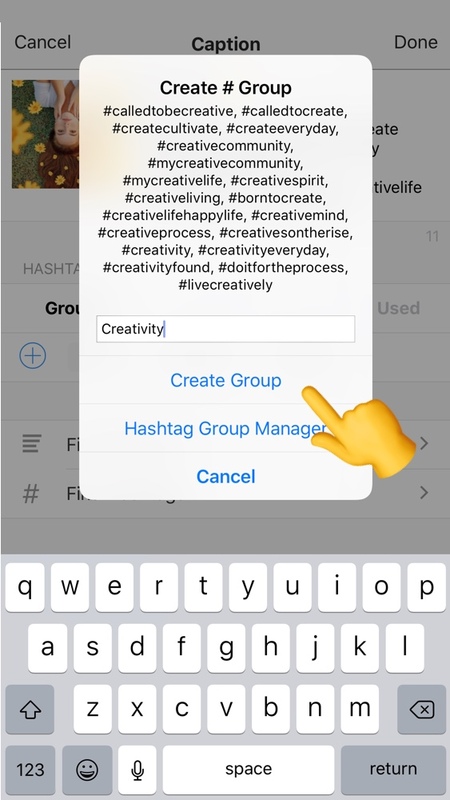 Here, you can save, edit and delete your hashtag groups. 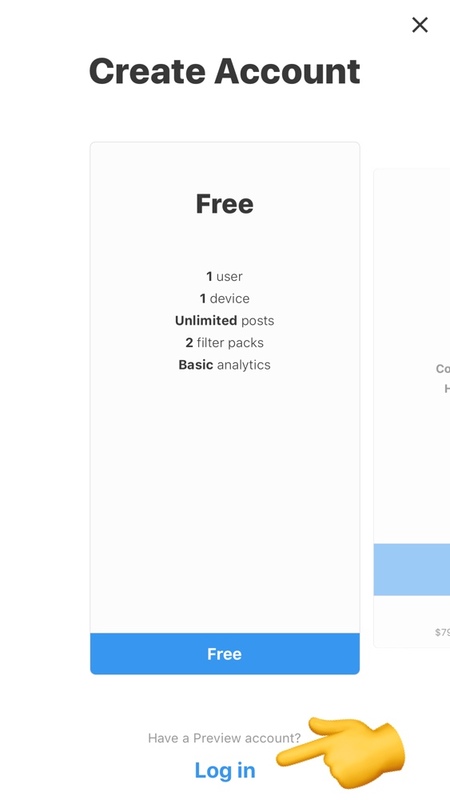 If you have a Free plan, you will see your basic analytics. 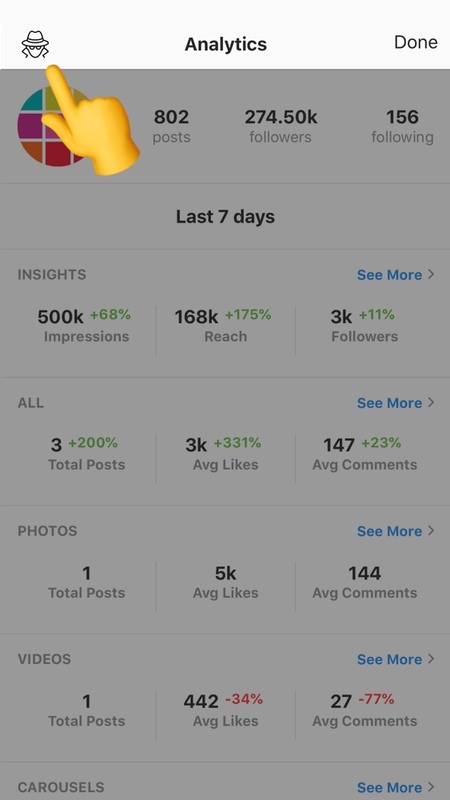 If you have a Pro or Premium plan, you will see your entire Instagram analytics. And much more. It looks like a lot, but it is not hard. Simply look at the charts and your top posts. 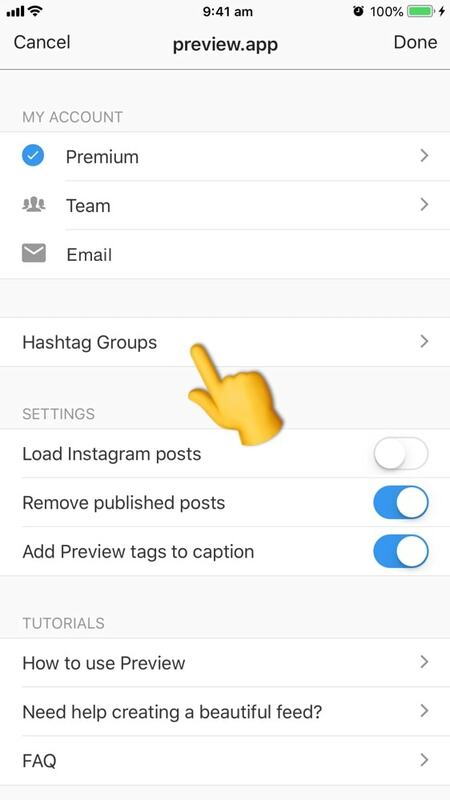 You will be able to see what posts you are posting on Instagram works and what doesn’t work. 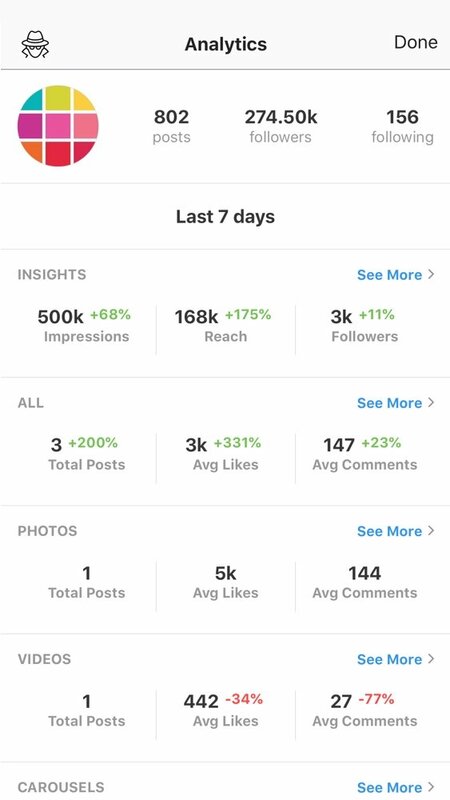 Look what posts people love to see from you, so you can post more content you know they love. This feature is available on the Premium plan. 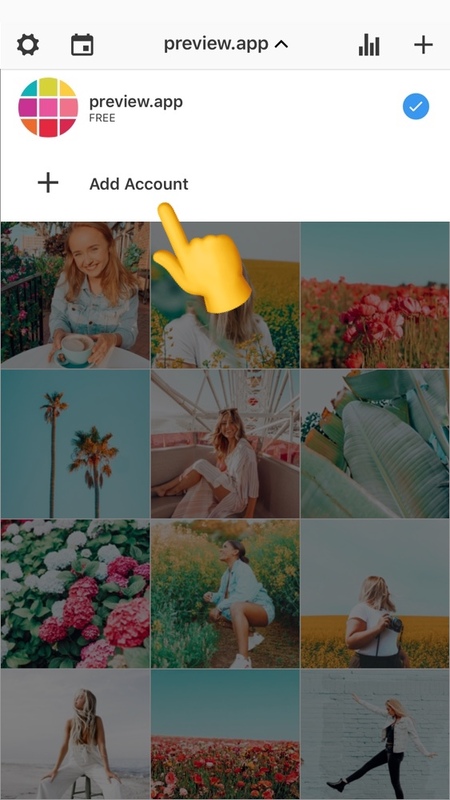 If you want to share your Preview feed with other people and you don’t mind giving them your Instagram password, then they can simply log in to your account on their phone. If they already have their own account in Preview, tell them to add another account in Preview and select “Login”. Your posts, hashtags and features will be transferred on their phones. You can share your Preview feed with as many people (and phones) as you want. What if you don’t want to share your Instagram password? 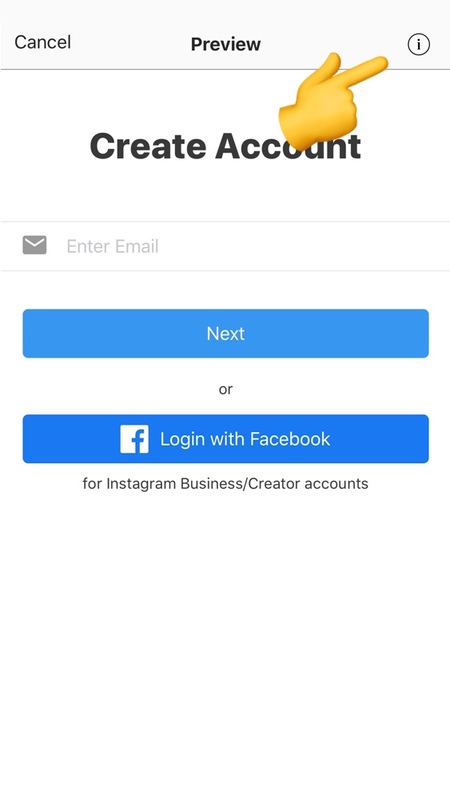 If you don’t want to share your Instagram password, you can add a person as a Team Member. 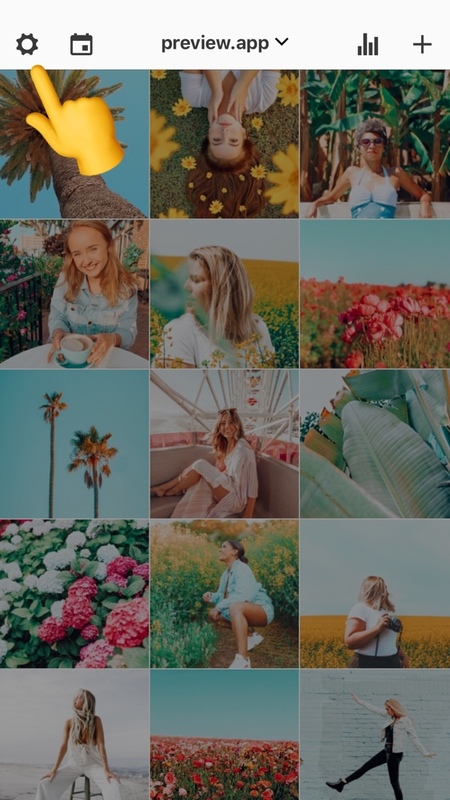 Edit Feed: Do you want this person to edit your photos, rearrange your posts, write captions? 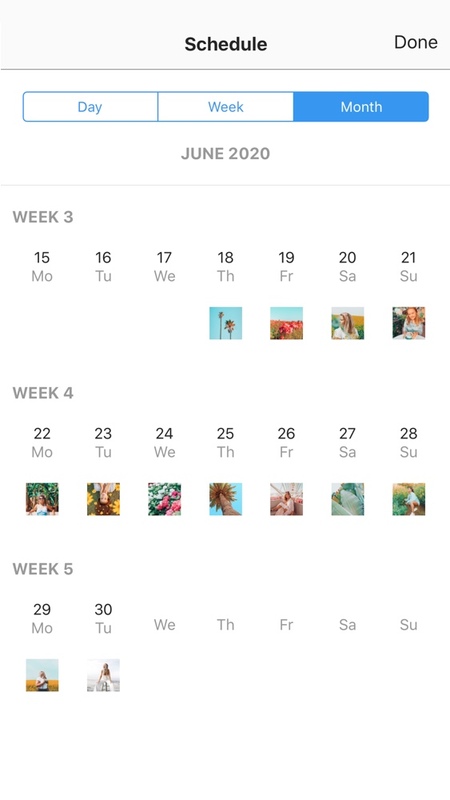 Do you have multiple Instagram accounts, and want to manage them in Preview? And finally, let’s talk about your settings. Do you already have a free or Pro account on Preview? And you want to upgrade to the Premium Plan? Please have a look this tutorial. Now you know how to use Preview app for Instagram! Have fun planning your feed. Please don’t hesitate to contact us if you have any questions. 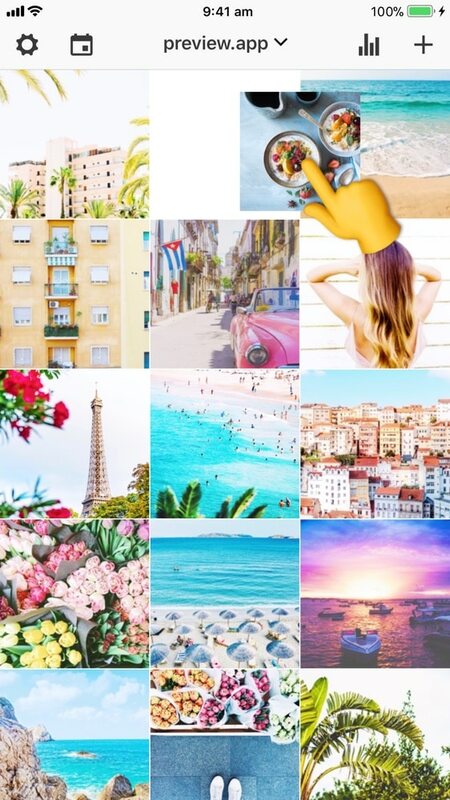 Until next time, see you all on Instagram @preview.app!